The Zimbabwean government will dip into the Universal Services Fund to access finances for the yet to be completed digital migration project. This was shared by the Minister of Finance and Economic Development, Patrick Chinamasa in his 2016 Mid-Year Fiscal Policy Review address to Parliament. According to Chinamasa the funding for the completion of the project is set to be secured from the sale of digital dividend spectrum for which the government is now trying to secure a new buyer. Until the country identifies a buyer for the spectrum it will have to turn to other sources of capital to meet some of the project’s pressing obligations that include the $27 million required to pay the project contractor, Huawei, for the completion of the current phase. State-owned mobile operator, NetOne was initially identified as the entity that would acquire the spectrum. However, NetOne failed to honour the $200 million obligation for digital dividend spectrum, creating a funding gap for the $173 million digital migration project. The Universal Services Fund is a pool managed by telecoms regulator POTRAZ. It is made up of annual contributions that are supposed to be made by all the licensed MNOs (mobile network operators). MNOs pay 1.5% of their gross revenues towards this. 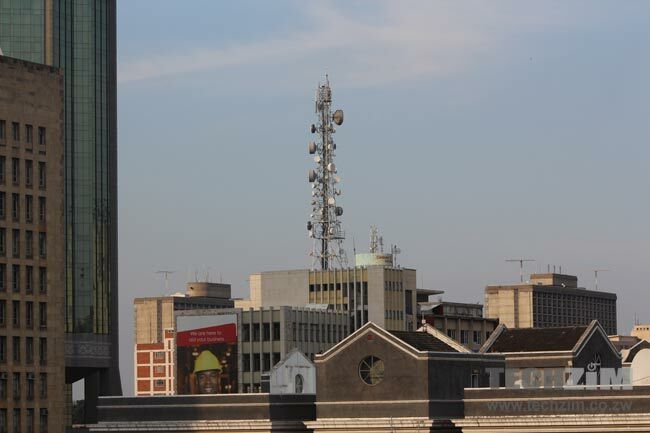 It has however been criticised by mobile operators like Econet Wireless, the country’s largest operator which makes the biggest contributions to the fund. Econet has questioned how the money collected for the fund is used and in a lawsuit filed against POTRAZ early this year it called for clarification on how the fund is deployed. What is Charamba going to say about that?